It may be winter now, but if you’re looking ahead to the warmer months and imagining a pool in your yard, you are in good company! Pools and spas provide incredible benefits wherever they are installed. The opportunities for relaxation and recreation are endless. Not just that, pools and spas are beautiful. They enhance the value of your property. They give you a refuge when the Georgia summer is raging. Truly, deciding to invest in a pool or spa may be one of the best choices you make this year. At North Georgia Pools, we believe knowledge is power. We want you to be able to step into your spa or pool journey with confidence. The best way to do this is to stay ahead of the curve. That way, you avoid unpleasant surprises. 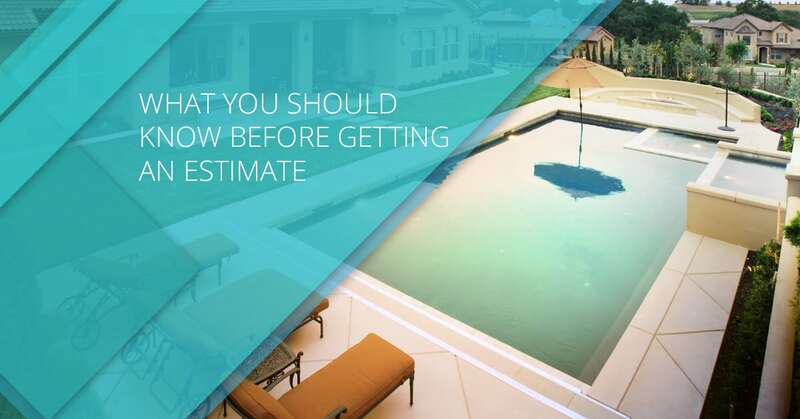 That is why we are going to use this blog to share five things you should know before you even contact a pool company to get an estimate. A pool is a significant investment that takes time and a solid budget. If you’re the lone campaigner for a pool, you should wait to get in touch with a contractor. Everyone should be on board with installing a pool in the back yard, because the pool will be there all year long for many years to come. It will need maintenance and upkeep. This may seem like a silly step, but you’d be surprised how often couples and families aren’t on the same page about pools and spas. Are you looking for a pool that will allow you to work out? Is it more ornamental than anything? Do you need a play area for little ones? Are you dreaming of incorporating a water feature? Are you determined to do as little maintenance as possible? Before shopping for any pools, sit down and list out all the things you hope to get from your pool. Even better, arrange them in order of importance. You will find that shopping for a pool becomes radically easier than before. You will be able to clearly express your desires to contractors and consultants, who will no doubt be grateful to have a customer who knows what he or she wants. It used to be easy to get loans for thing like swimming pools, but because property values have gone down, things just aren’t the same nowadays. That means that when it comes to financing your pool, you need to get things in order before getting quotes. The last thing you want to do is pay a contractor a deposit to get on the install schedule and then have to cancel because financing isn’t actually available to you. By ensuring your financing is solid, you’ll prevent headaches for both yourself and the pool guy! The team at North Georgia Pools is proud to be the answer to all of your pool and spa questions. Contact us today!